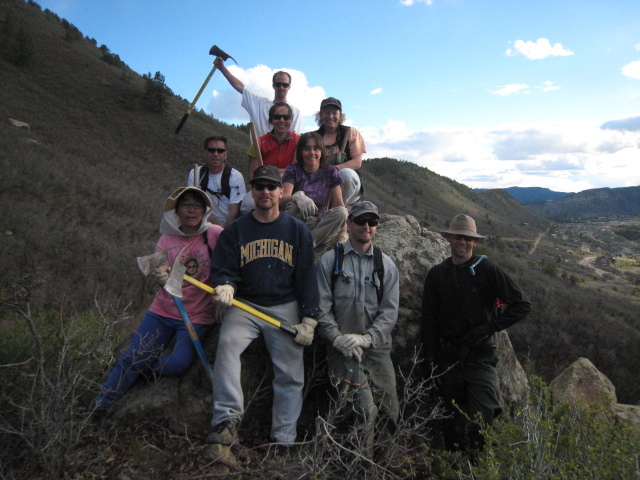 After weeks of cutting brush, digging line, and building rock retaining walls on steep slopes with Trails 2000, the Skyline trail off of Raider Ridge is now complete. I recently rode the trail up to Raider Ridge and it was really fun. 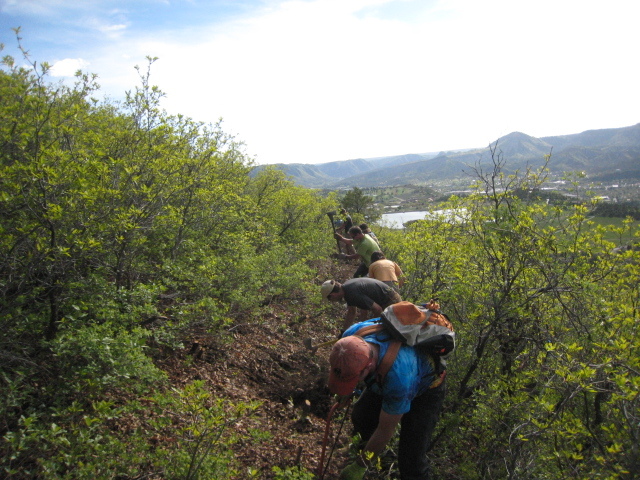 It has lots of smooth switchbacks through the mixed conifer with epic views of Durango and the Animas Valley. This blogger helped work on the trail for a few days. Skyline trail heads towards the uppermost part of the Raider Ridge trail. It’s a good starting point for freeride-loving riders or hikers to start from on their descent back towards the mouth of Horse Gulch. 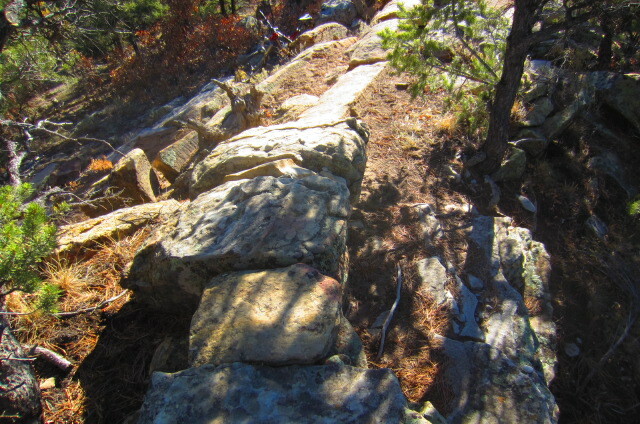 The upper part of Raider Ridge, where Skyline trail intersects it, is very technical and rocky. For that, it has plenty of challenges and rock outcroppings that are fun to play on with a full-suspension mountain bike. Be warned–this trail is rugged. 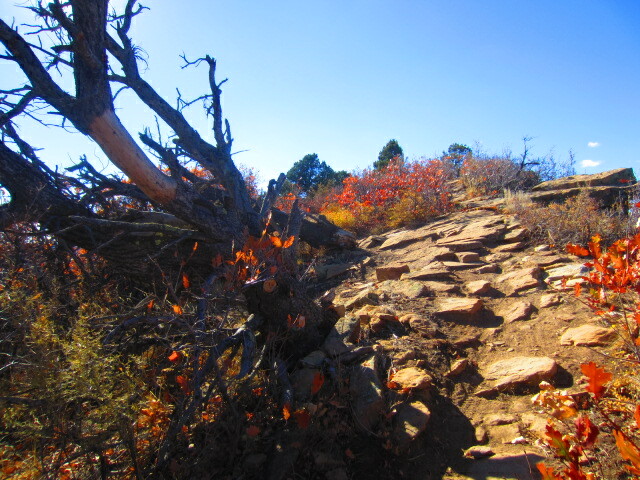 This trail has some fun rock outcroppings to play around on; they’re not for the timid.